Don Vito: "You're not middle anything. You're top grade. Top grade, you hear me? Anybody else call you this middle thing, and I bust some knee caps. Capice?" Wonderful things about this book: a) The character of Turtle. As the front flap says: "Life isn't like the movies, and eleven-year-old Turtle is no Shirley Temple. She's smart and tough and has seen enough of the world not to expect a Hollywood ending." c) Setting. Key West, Florida. The residents are called "Conches," and everyone knows everyone else's business. d) The opening lines: "Everyone thinks children are sweet as Necco Wafers, but I've lived long enough to know the truth: kids are rotten. The only difference between grown-ups and kids is that grown-ups go to jail for murder. Kids get away with it." Voice, voice, voice. Inspired by family stories, two-time Newbery Honor winner and New York Times bestselling author Jennifer L. Holm beautifully blends family lore with America's past in this charming gem of a novel, rich in historical detail, humor, and the unique flavors of Key West. Life isn't like the movies, and eleven-year-old Turtle is no Shirley Temple. She's smart and tough and has seen enough of the world not to expect a Hollywood ending. After all, it's 1935, and jobs and money and sometimes even dreams are scarce. So when Turtle's mama gets a job housekeeping for a lady who doesn't like kids, Turtle says goodbye without a tear and heads off to Key West, Florida, to stay with relatives she's never met. Florida's like nothing Turtle has ever seen. It's hot and strange, full of wild green peeping out between houses, ragtag boy cousins, and secret treasure. 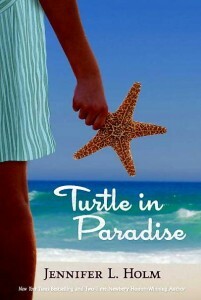 Before she knows what's happened, Turtle finds herself coming out of the shell she has spent her life building, and as she does, her world opens up in the most unexpected ways. Verdict: This is another swift read. Both girls and boys would enjoy it--the spunky Turtle has a band of boy cousins who get into continual scrapes, including being stranded on a Key while searching for buried treasure during the afore-mentioned hurricane. Hooray for Jennifer L. Holm! - Ishta Mercurio makes her MMGM debut with a feature on JACOB WONDERBAR AND THE COSMIC SPACE KAPOW--with a GIVEAWAY! Go HERE for all the details. - The awesome Elana Johnson also joins the MMGM fun, featuring JANITORS. Click HERE to see why you need to read it too. A copy will soon be winging Mary's way. As for the rest of us, the Don enjoyed himself so much he's sending me to Vegas and demanding I hold another giveaway soon. So keep your eyes and ears open. Marvelous Middle Grade Monday: The Fourth Stall--and a GIVEAWAY!!!!! Ladies and Gentlemen, Boys and Girls: I am so very excited today. 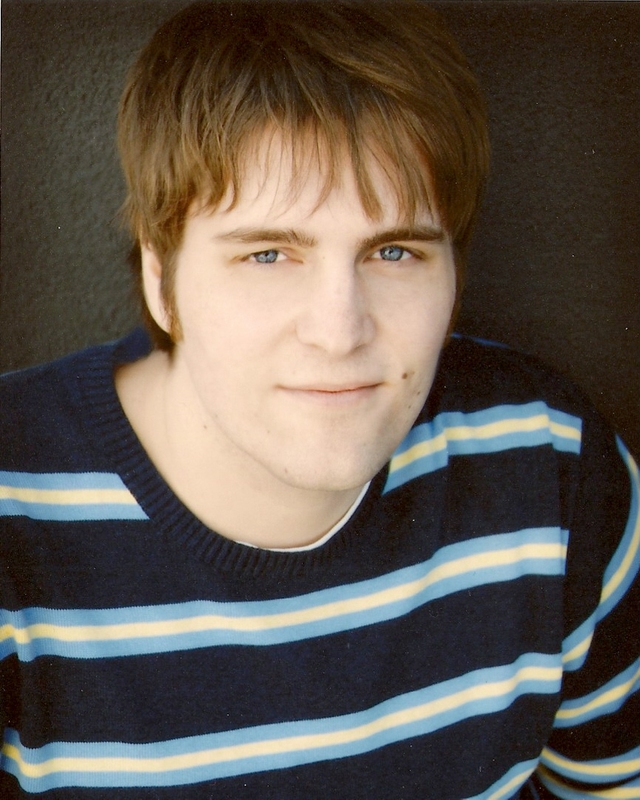 This Marvelous Middle Grade Monday sees my first ever interview with an author, the ferociously funny and supremely talented Chris Rylander. Chris very graciously gave his time to deal with my gushing e-mails and breathless interview questions about his debut novel, The Fourth Stall, so a huge thank you to him. Before we proceed, you all must know: I LOVE THIS BOOK!!! Don't ya just love the hand with the toilet paper? More importantly, so does my 14-year-old son. Right now, if you can get him to read anything other than Uncle John's Bathroom Reader, or Game Informer and Rolling Stone magazines, I have a medal I'd like to present to you. So the fact that he read The Fourth Stall and even did a book report on it has me falling to my knees and praising the heavens for Chris Rylander. 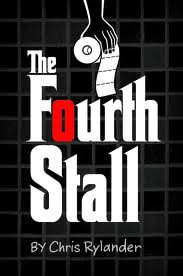 Chris Rylander delivers a funny Ferris Bueler-style middle grade novel with The Fourth Stall. Do you need something? Mac can get it for you. It's what he does—he and his best friend and business manager, Vince. Their methods might sometimes run afoul of the law, or at least the school code of conduct, but if you have a problem, if no one else can help, and if you can pay him, Mac is on your side. His office is located in the East Wing boys' bathroom, fourth stall from the high window. And business is booming. Or at least it was, until one particular Monday. It starts with a third grader in need of protection. And before this ordeal is over, it's going to involve a legendary high school crime boss named Staples, an intramural gambling ring, a graffiti ninja, the nine most dangerous bullies in school, and the first Chicago Cubs World Series game in almost seventy years. And that's just the beginning. Mac and Vince soon realize that the trouble with solving everyone else's problems is that there's no one left to solve yours. What caught my eye first (because I'm so shallow): The cover! I mean, how could I pass up a book cover with a guy (I thought it was a girl at first, but never mind) riding a tiger and pointing an arrow at a shocked-looking boy!!! Wonderful things about this book: a) Time travel. My first novel is a time-travel. I love it! b) The main character, Kevin, is Korean-American. I am a huge multi-cultural fan. c) Quick bit of info for writers here. It's written in close third person. If you want to see how it's done masterfully, study this book. The story (thanks to Goodreads copywriters): Twelve-year-old Kevin is quietly doing homework when an arrow rudely interrupts his studies. The surprises escalate when this ordinary kid realizes that the offending archer is Chu-mong, an ancient Korean king who has catapulted through time, and that history will be changed unless the errant monarch can be returned the past. A believable time-travel story by a Newbery Medal winner. Yup, folks: this has action (arrows, leaping into a tiger's den at the zoo), humor (King Chu-mong thinks cars are powered by dragons), and heart. Meeting Chu-mong brings Kevin closer to his Korean ancestry. He gains a greater appreciation of his own dad in the process. It's a swift read, and would be suitable for 4th graders and above, particularly those interested in other cultures and history. Well, it's a wrap. It's good to be back among you. If you want to know what I've been up to vacationwise, the story is on my other blog, The Year of Writing Dangerously. April is National Poetry Month -- how do you celebrate?